Sneakers from adidas by BAPE. 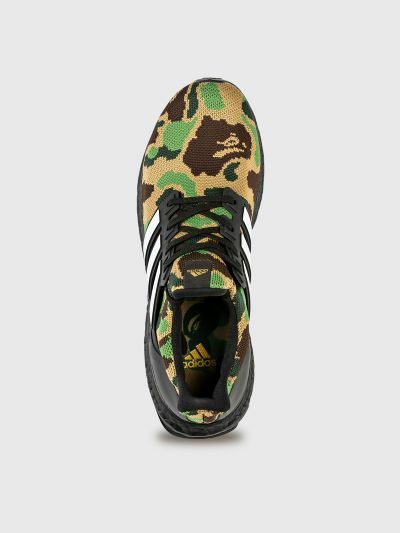 Primeknit textile upper with camo print. 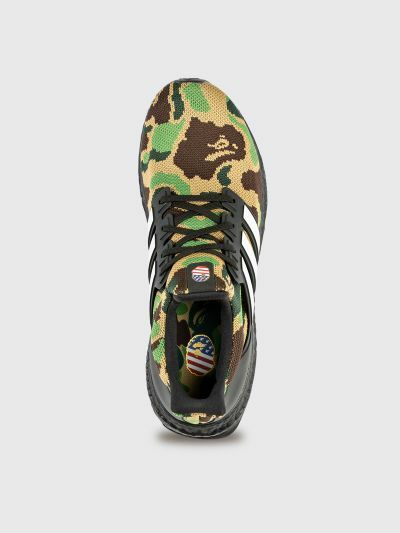 Features a rubber lace cage with printed stripes, rubber logo on the tongue, BOOST midsole and a rubber outsole. Due to heavy demand this item is sold through an online raffle. Only PayPal verified email addresses can be submitted as it will be used for invoicing. 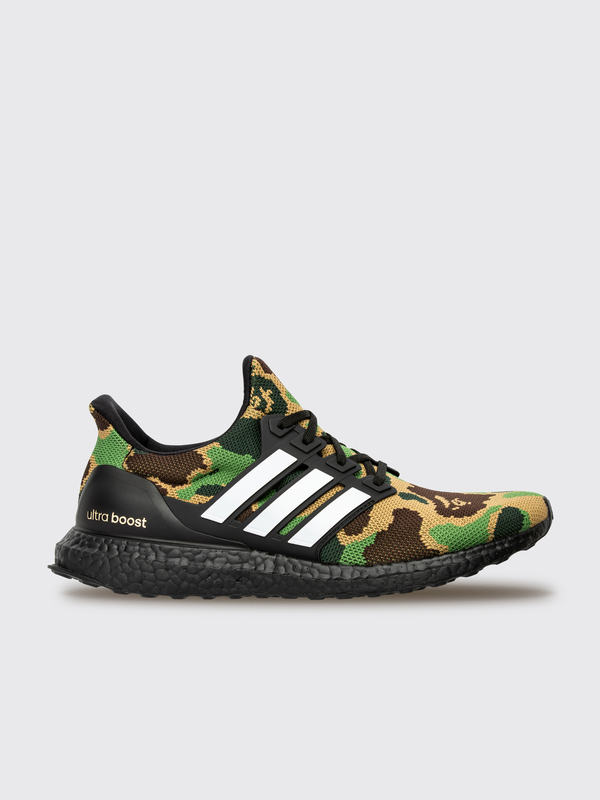 One raffle entry per customer/ip or all related and future submissions will be banned. Shipping is included in the price. Winners contacted during week 5. Green, brown, white and black sneakers. Textile upper, lining and insole. Rubber outsole.